Bill Cosby is a Very Funny Fellow ... Right! Scandal aside, the more famous he got the slower his delivery got until for me he became a bore. 'A self-indulgent comedian too in love with the sound of his voice' was my (unpopular) impression. I won't let the recent media coverage of Mr. Cosby change my mind and respect for his brand of art as he delivered it back in the day. Sure, he isn't on everyone's "home screen" nowadays, but, he was a pioneer for the comedy industry at one time. Interesting how time and circumstances change minds so quickly. 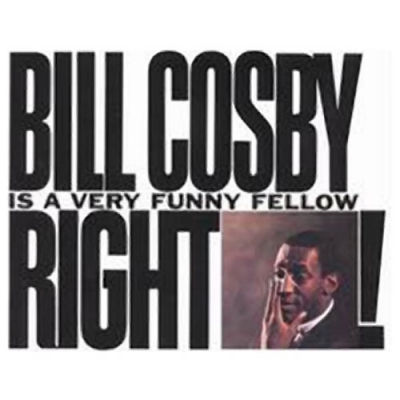 Knowing what I know now, Bill Cosby is just another sorry case for a human being. I'm shocked and saddened to learn of his deplorable sexual assaults on dozens of women. Talk about moral hypocrisy! At one point i had all of his LPs, and proceeded to wear them out. Comic genius, plain and simple. I can still recite "Superman" verbatim. He had such an influence on our lives that I mentioned him in my eulogy for my Dad. Cos was the definitive comedian in our youth. What can you say about this man? "THE BEST!!" "THE FUNNIEST!!!" My Favorite comedian of all time. No one has kept me laughing consistantly for 50 years like him! AND HE IS CLEAN.